Soul 2 Soul Readings is a psychic reading business owned and operated by Laura Kuhl, an intuitive reader specializing in grief, relationships, and your career. 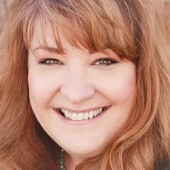 Working with the help of her 64 spirit guides, Laura can help you connect with a loved one who has passed, discover your soul mate, identify problem areas in your relationships, find your perfect career, and more. No matter the issue, Laura can help guide you to solve your problems in person, by telephone, or over Skype. By appointment only. Contact Laura today for more information!